Nothing is easier than that: Sawing bars, blocks or sheets. Aluminium is the material of the hour. It is used in more and more products. We develop individual saw systems for the processing of raw materials. 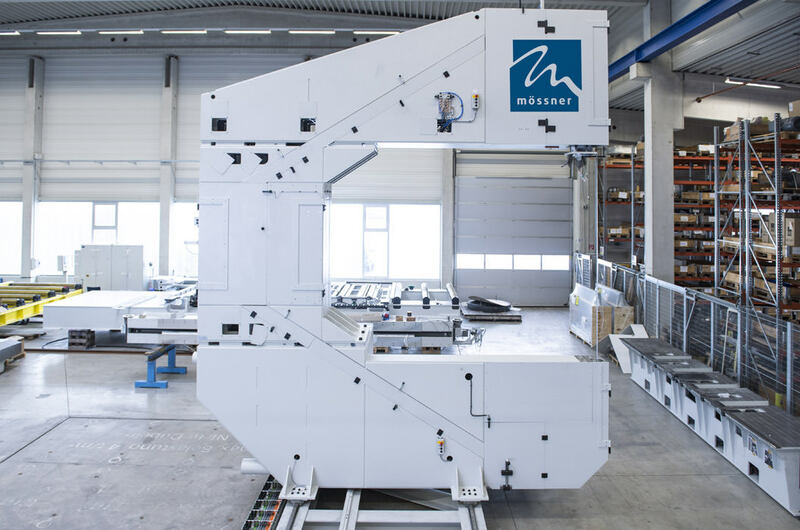 Mössner sawing systems are manufactured in different sizes and power outputs of up to 100 kW. Adapted to the requirements of customers, the special machines are individually equipped with a multitude of electrical and hydraulic work units and components to solve specific work processes optimally. These include, for example, solutions for the feed movements for clamping workpieces and tools or for changing saw blades, as well as the supply and rotation of the saw blade guides. There are also rolling processes for the unfinished and finished parts and transport systems for chips and waste. High-tech systems for process control, monitoring and diagnosis are also important.